Reviews of the work carried out by Alcro Ltd, gas, electrical & plumbing. We hired Trevor to install a downstairs toilet with sink in our new home, along with all the electrical work. The service was very professional and very thorough. We are absolutely chuffed to bits with the results! 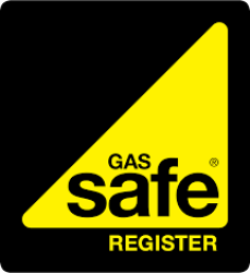 We also decided to get our boiler tested and Trevor found a gas leak which hadn’t been picked up on by the previous owners and their gas engineer. This just shows Trevor’s fantastic attention to detail and thorough work. He then made it safe and repaired the problem. I wouldn’t hesitate to use Trevor again for any work we need doing whether it be plumbing, electrical or gas work. I recommend him to anyone looking for a trustworthy and professional service. Thank you so much for all your hard work. I was looking to replace my old boiler trying to find a good, resonably priced fitter was a task. I had a few quotes before hand but wasn’t really happy with the advice and cost. I came across Trevor by a recommendation in a conversation to a friend, so I called him up to arrange a chat and quote. He came round, explained in detail the pro’s and con’s of boiler choices that I was thinking of and recommendations to best serve my need. Alcro put together a quote including different choices of boiler which all included cost of labour and any other materials used for the Job (nothing hidden), completed install. I decided to go with Alcro, Trevor has completed the fitment, hastle free, the workmanship was of a very high standard and he did a thorough testing and analysing of the instaled unit, which he explained well. I would definately recommend Alcro if you want sound advice, a good installation and at a very resonable price. Alcro Ltd/ Trevor have recently completed works for us (June 2016). Replacing a 3-way valve to heating system & replacing a number of radiators. Also fitted a shower pump to improve water pressure. Trevor helped us to source all parts at best rates, was prompt/on time for all meetings & works. He ensured that products fitted would work with existing plumbing arrangements, speaking with suppliers as necessary, ie. we have a water softener fitted. He was so attentive & ensured no mess was made, simply had to give a quick wipe down with a duster after works. Quotes & invoices were easy to read & prices were competitive.